If you’re like me, you remember using that Biosilk Silk Therapy Oil a ton in high school. It was a tad expensive for a high schooler’s budget, but we loved it because it worked really well and had that yummy, distinctive smell. I got my first bottle from a wonderful aunt and then I would save up until I could get another small bottle from the salon. I think I’ve found a pretty much exact dupe that’s less expensive and, even better, is much more natural, clean, green and non-toxic! 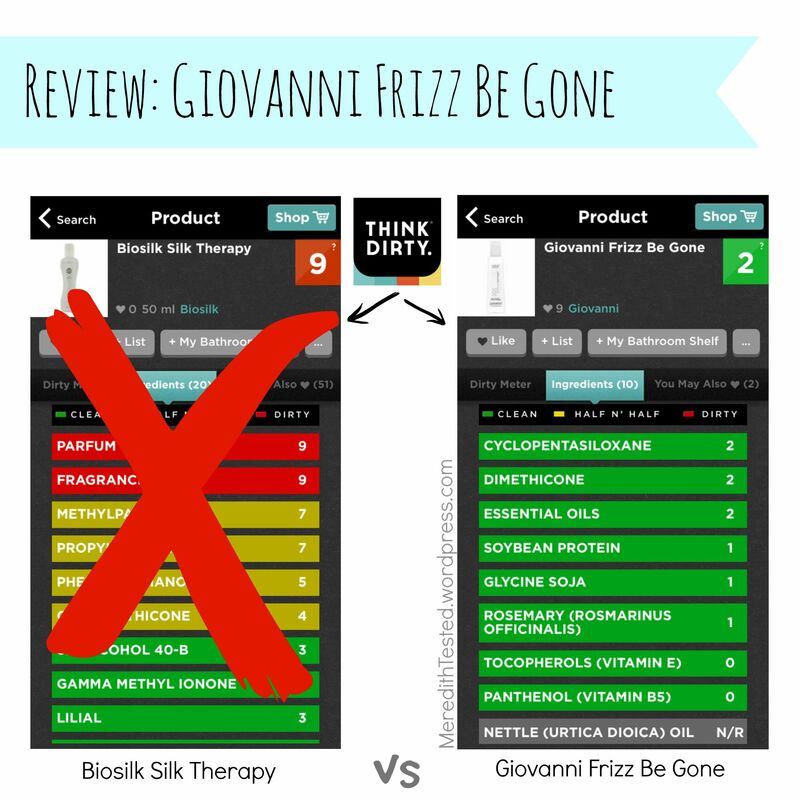 The Giovanni Frizz Be Gone serum is a lovely texture and works well on my hair dry or wet. The biggest problem I have with this product is that it makes my hair so soft that I can’t stop touching it! Anyone with curly or wavy hair knows that you shouldn’t touch your hair to avoid frizz, but I find myself stroking my locks to feel the smoothness. Sounds cheesy but it’s true! I think I’ve found a holy-grail product here, folks. Next Next post: Book Review: Oh the places you’ll feed!